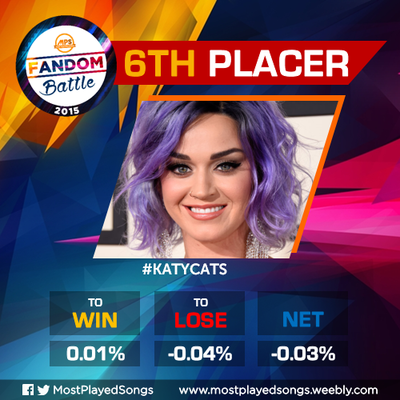 The people have spoken and voted. 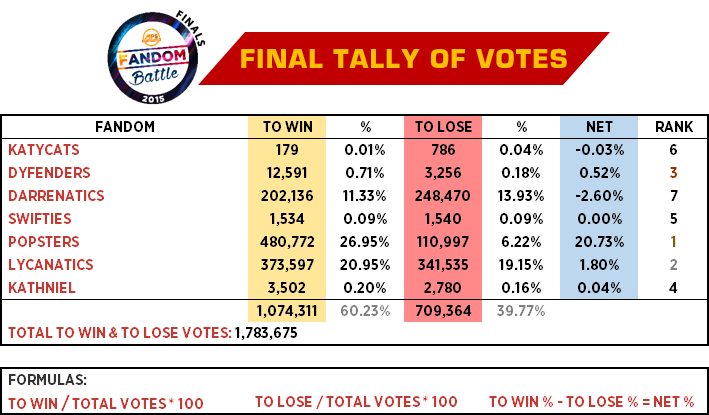 Here's the outcome of your vote! 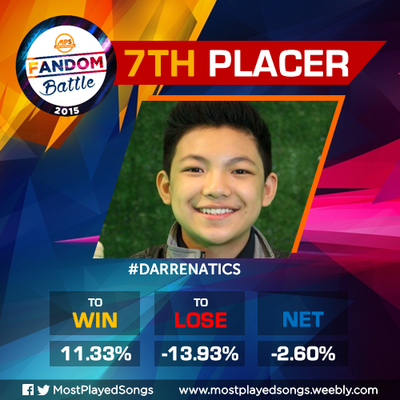 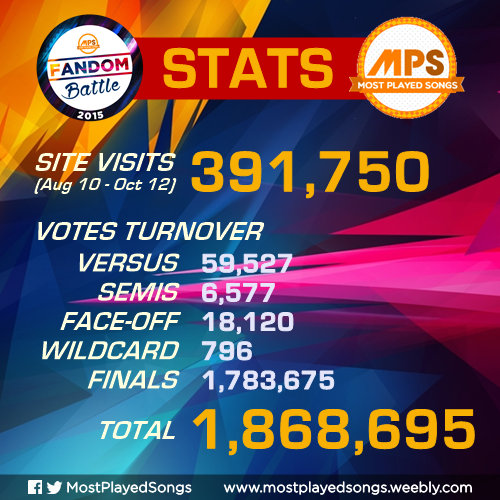 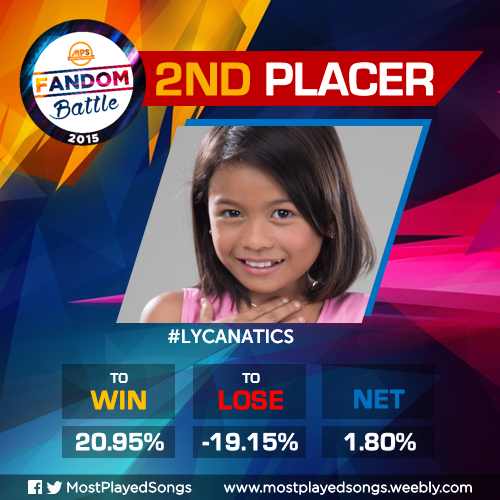 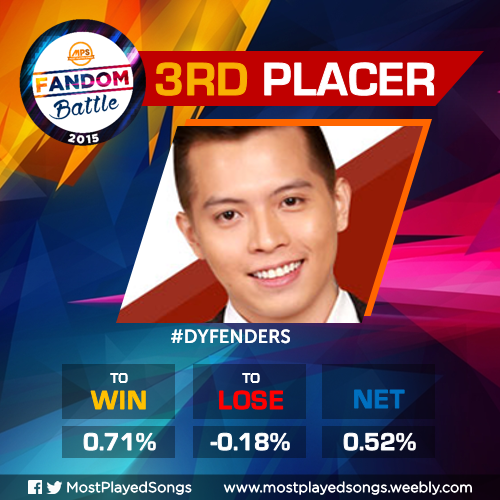 Presenting, the MPS Fandom Battle 2015 Finals Results! 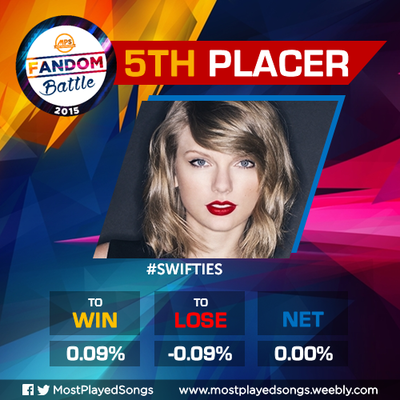 Who's the strongest fandom of them all? 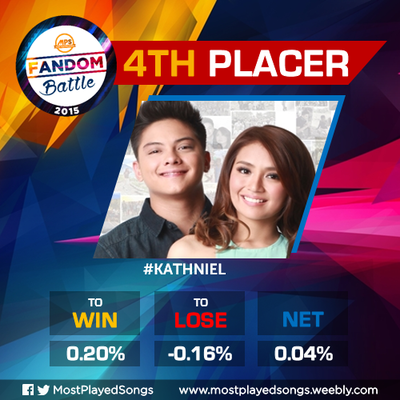 This is how we do the computations for MPS Fandom Battle 2015 Finals. 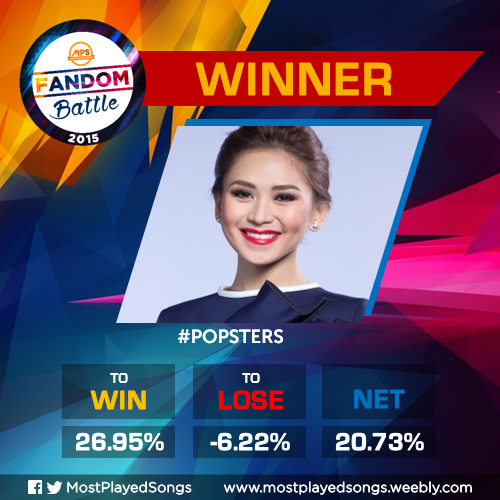 CONGRATULATIONS AGAIN TO OUR GRAND WINNER - #POPSTERS! 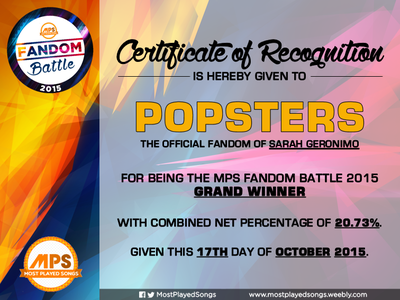 Popsters are the official fandom of Popstar Royalty, Sarah Geronimo. 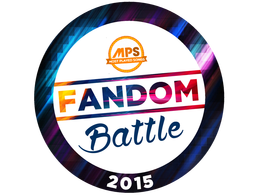 THANK YOU FOR MAKING #MPSFandomBattle2015 POSSIBLE!